High-five to the Belizean Institute of Archaeology. 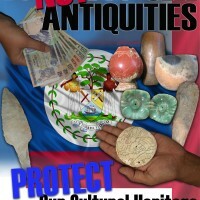 On a more positive note Belize, the country that stole my heart and hasn’t given it back, has a new anti-looting campaign going on to pair with the recent signing of a Belize-US cultural property MOU! Hows about y’all send me a few of those posters?